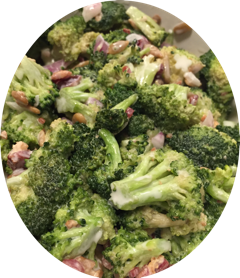 Broccoli cut into bites-size pieces with bacon, cranberries, sunflower seeds and onions mixed with a creamy and tangy sweet sauce. 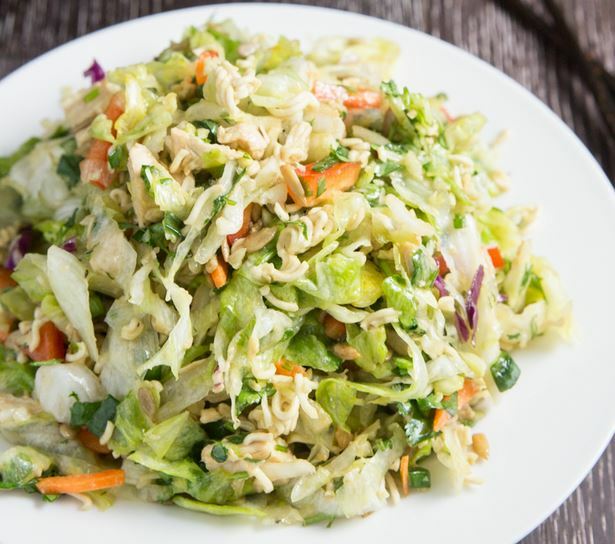 Shredded lettuce with almonds, sesame seeds and noodles mixed with a tangy oriental dressing. 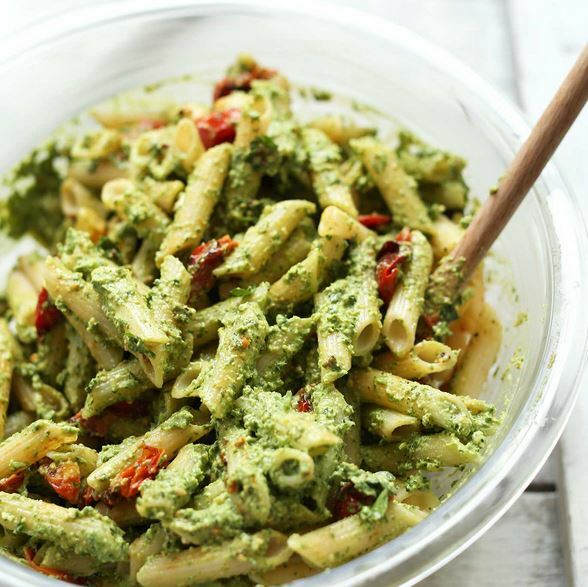 Your choice of “Parmesan Pesto” Penne pasta mixed with pine nuts, fresh parmesan and roma tomatoes tossed in a creamy pesto sauce -or- “Italian Salad” Spiral pasta mixed with pepperoni, onions, red bell peppers, parmesan cheese and olives tossed in a zesty Italian dressing. 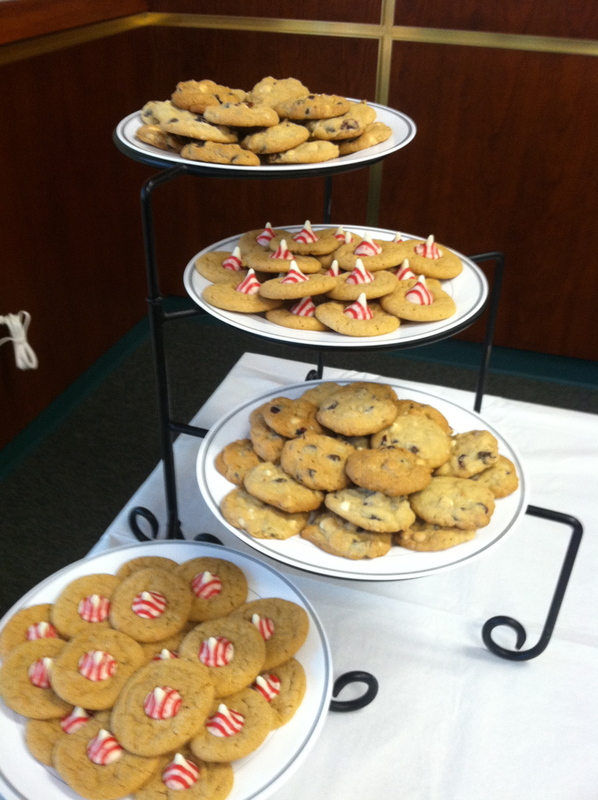 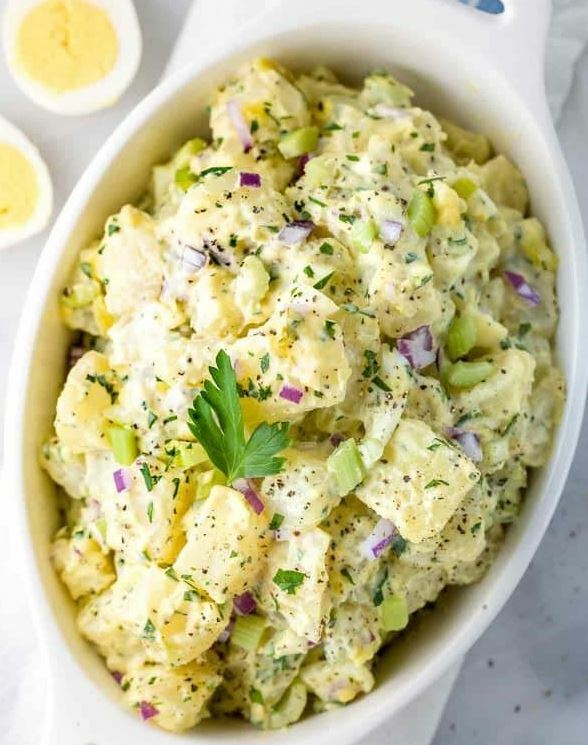 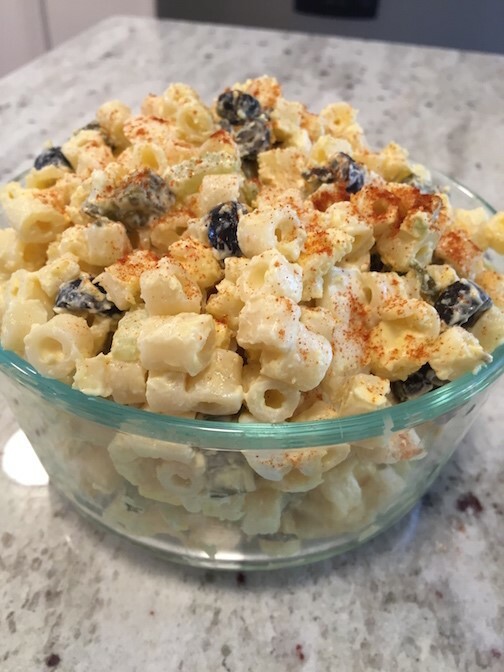 A tasteful blend of red potatoes, eggs, celery and sweet pickles dressed with a creamy mayonnaise blend. 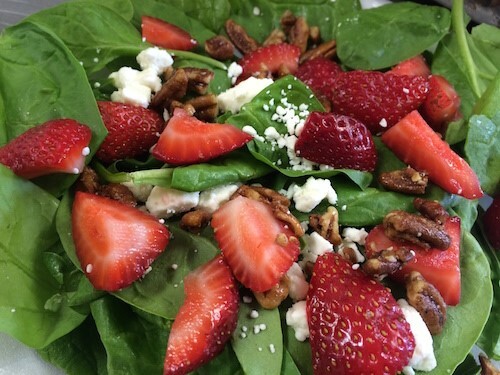 Fresh spinach tossed with sliced strawberries, feta cheese and candied nuts. 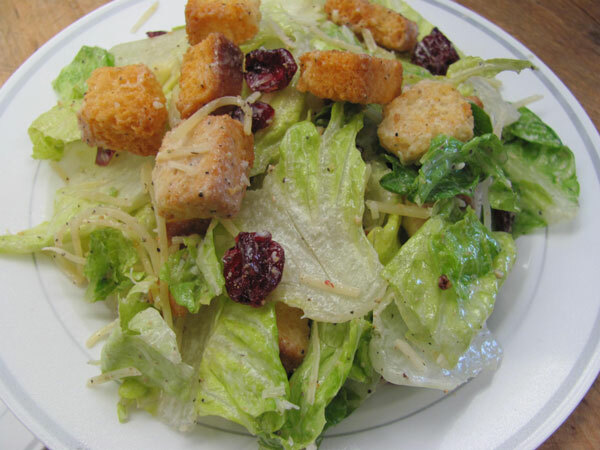 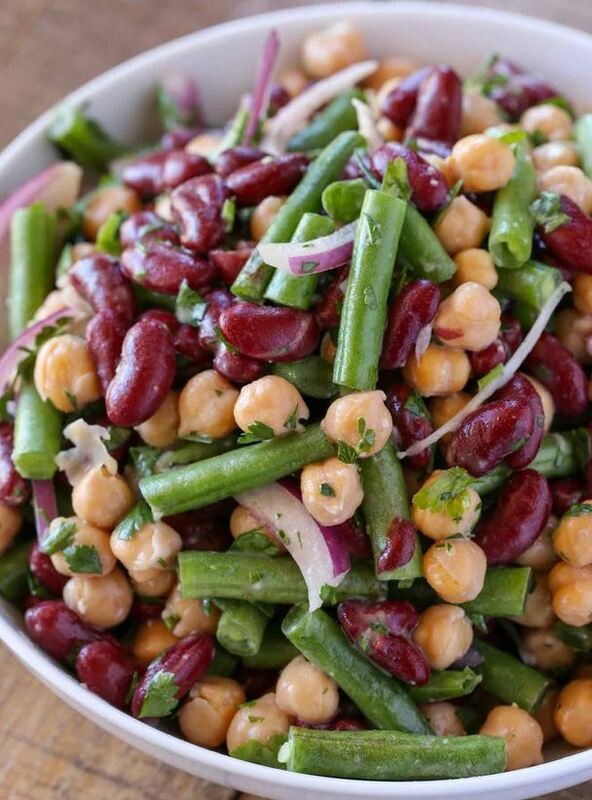 A mix of garbanzo beans, kidney beans and green beans marinated in a tangy dressing. 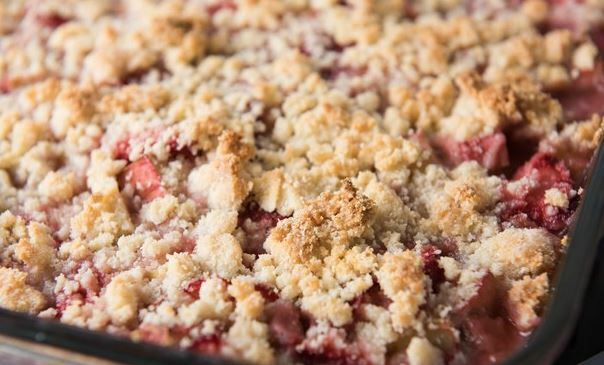 Delightful burst of berries crusted with delicious oatmeal mix and topped with crispy oats. 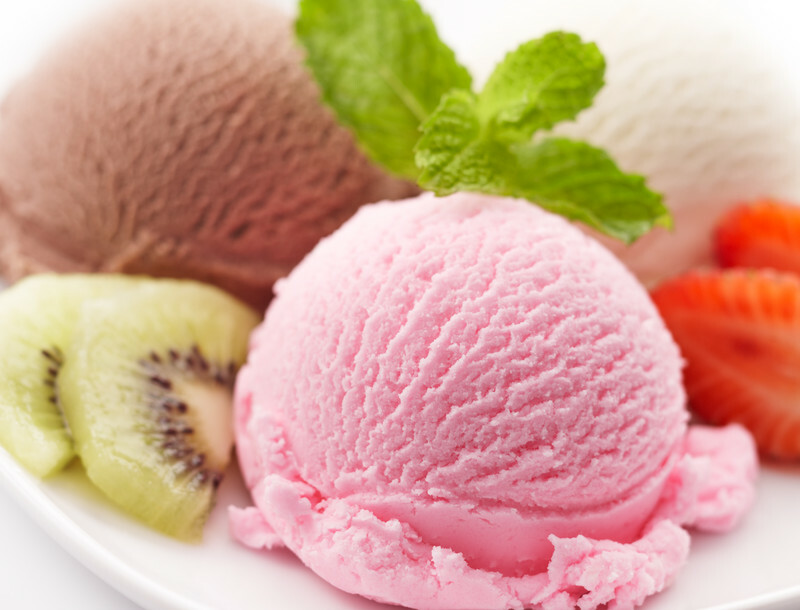 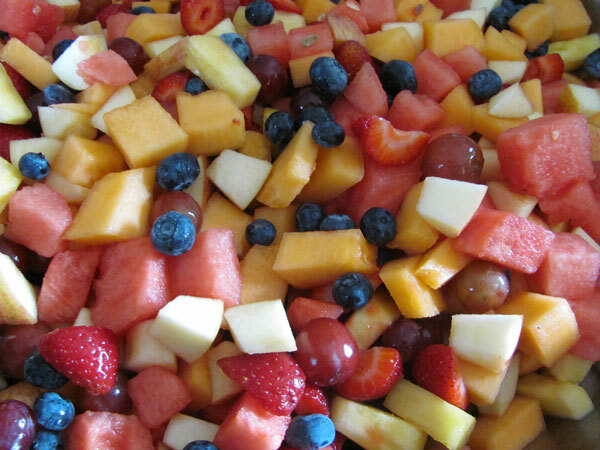 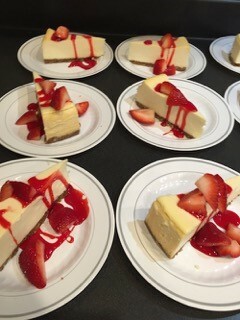 Your choice of mini assorted cheesecakes or cheesecake topped with fresh fruit.